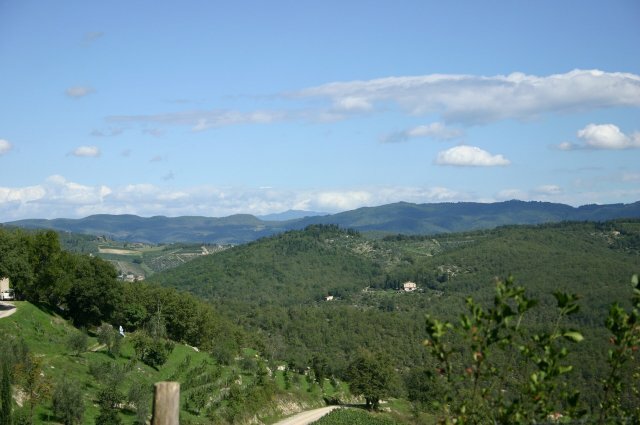 Livernano was first inhabited by Etruscans, whose culture reached its high-point in Tuscany over 2500 years ago, around 500BC. 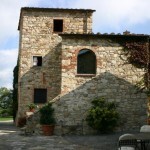 The hamlet was later occupied by the Romans, who gave it its name. 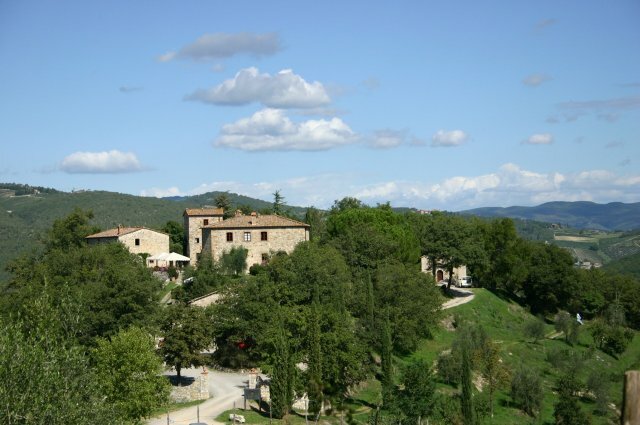 In the 17th century, when the territorial wars between Siena and Florence had finally come to an end, Livernano turned into a quiet farming village. 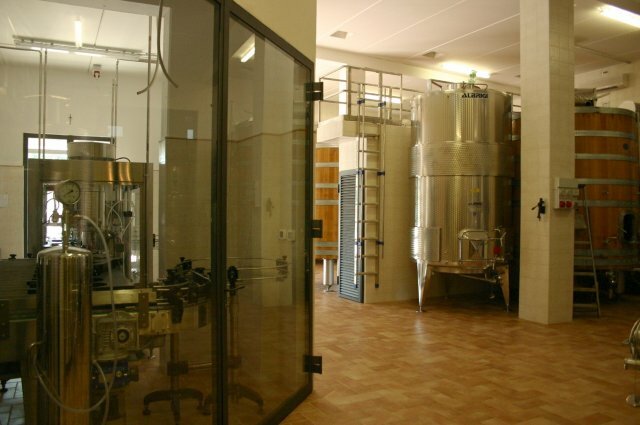 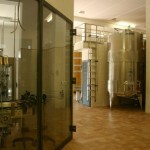 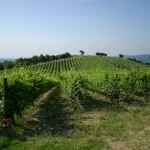 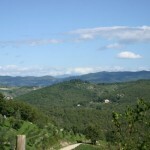 Today, Livernano is again a working farm, producing fine wines, excellent olive oil, honey, vegetables and fruits. 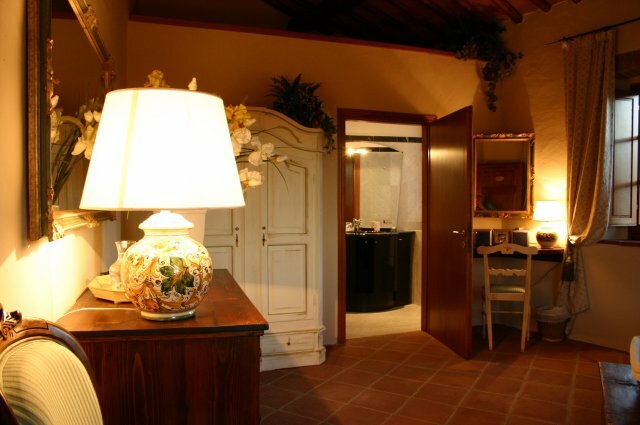 Three houses have been completely redesigned and furnished with local antiques to accommodate guests, you can choose among four suites and five double-rooms. 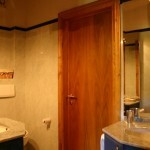 All are equipped with telephone, minibar and stereo-set. 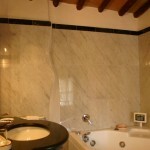 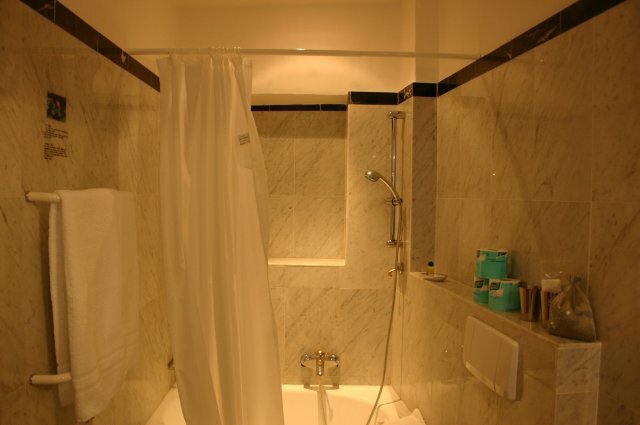 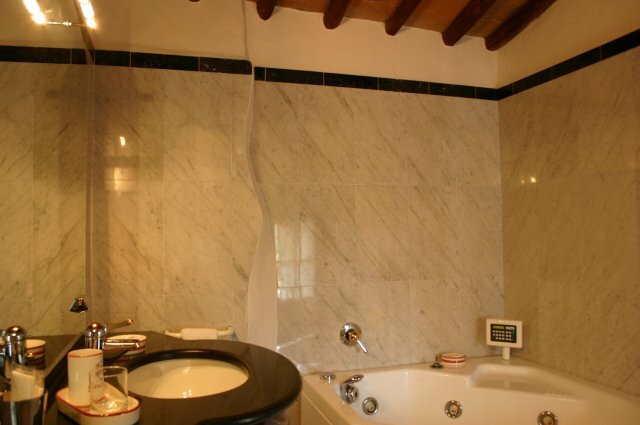 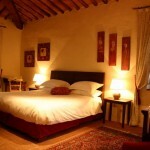 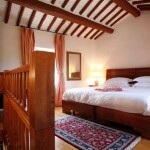 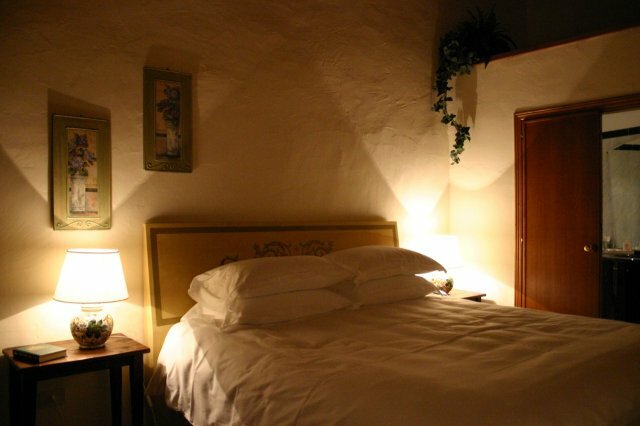 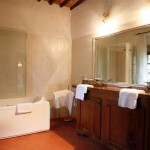 Individually and tastefully furnished; each room has a heavenly bed and en suite marble bathroom. 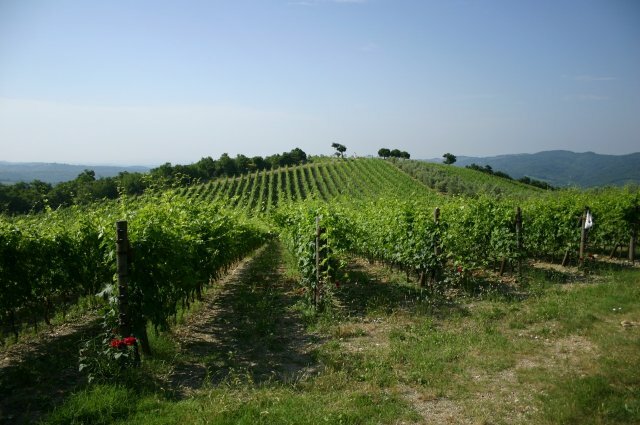 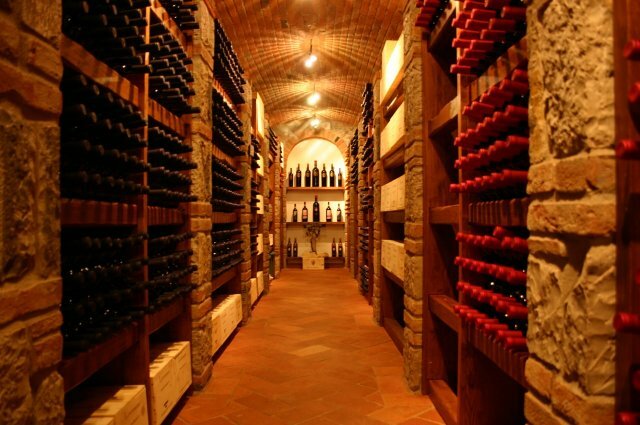 Although situated in splendid isolation amidst forests, vines and olive groves, Livernano is close to many local towns, historic sites, fine restaurants, and famous wineries. 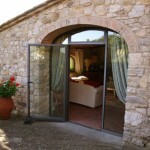 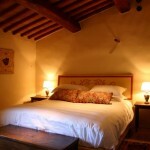 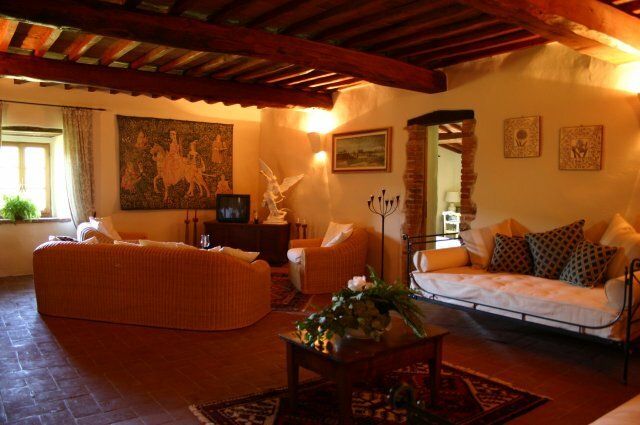 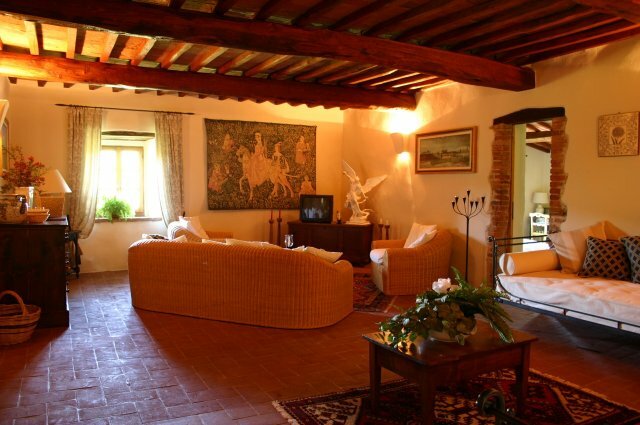 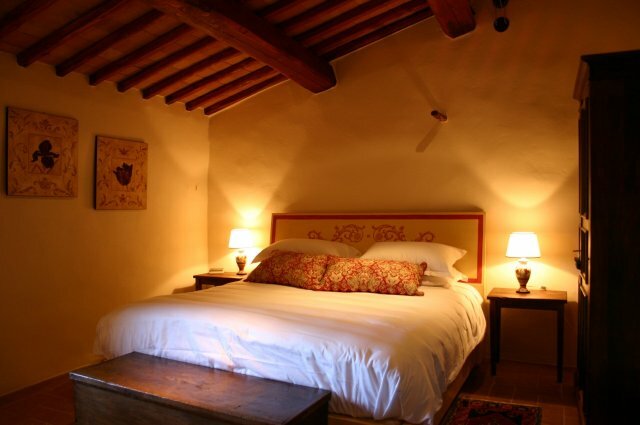 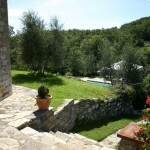 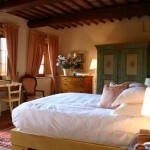 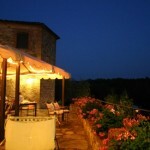 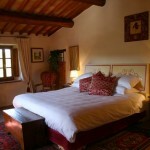 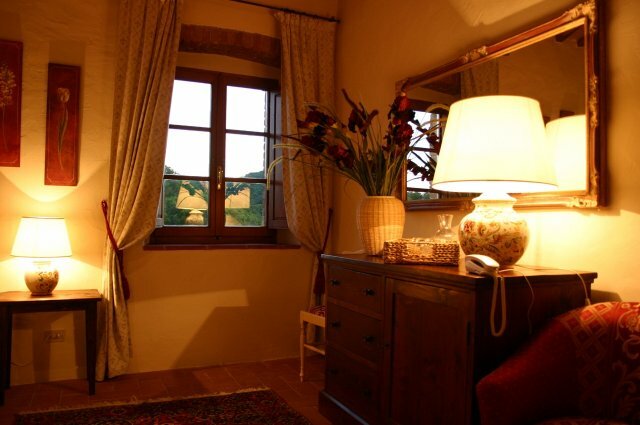 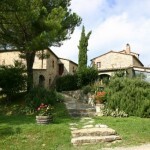 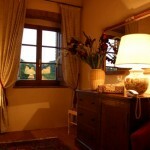 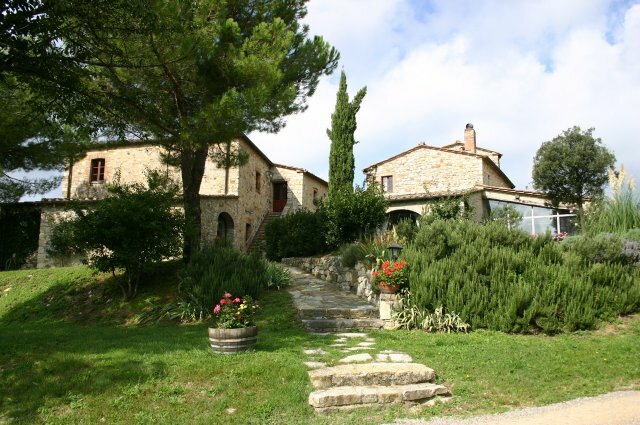 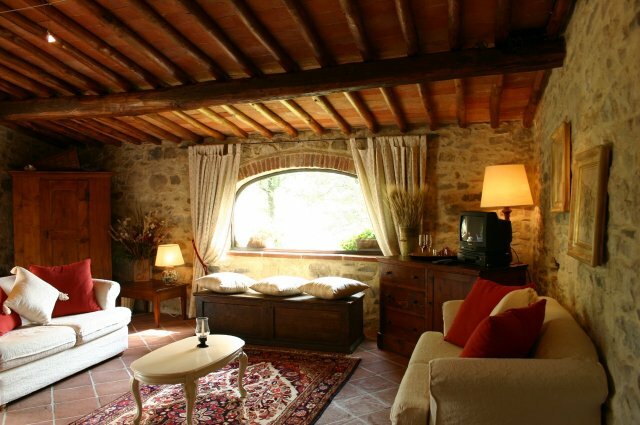 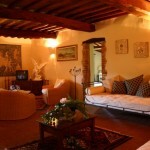 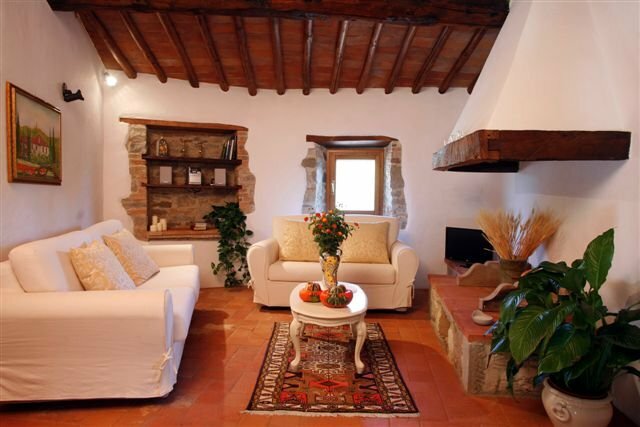 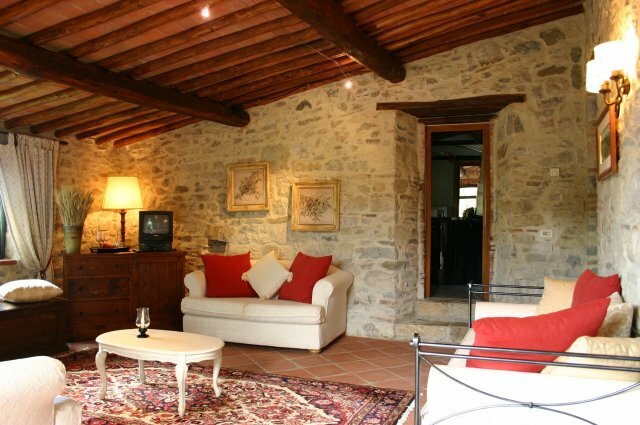 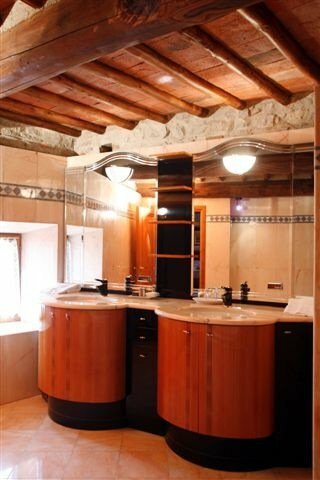 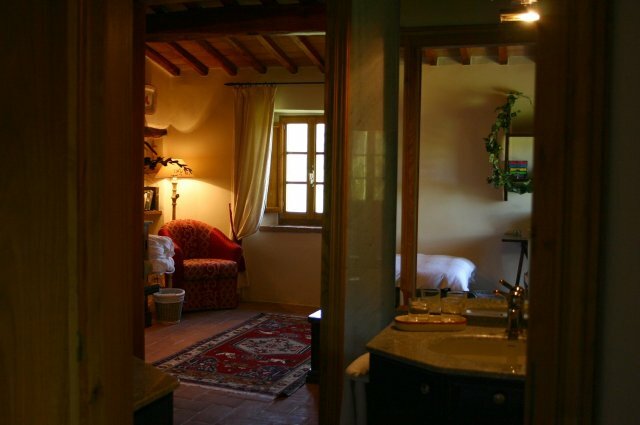 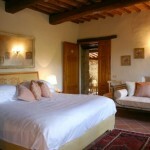 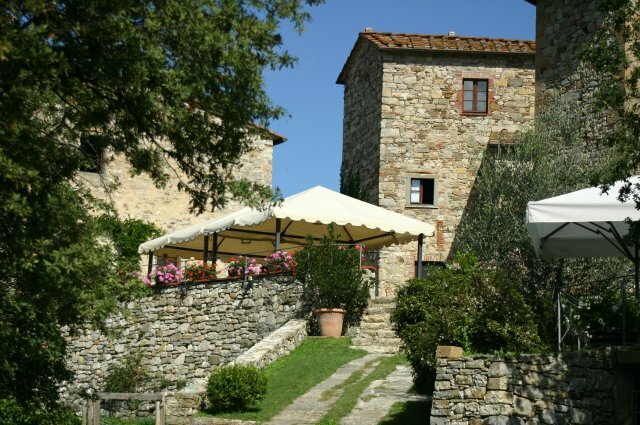 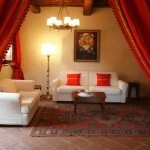 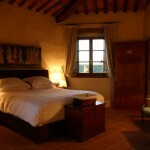 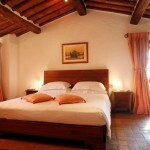 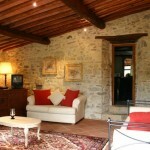 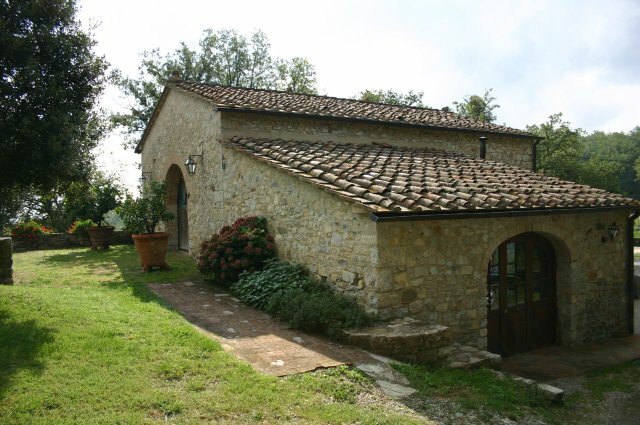 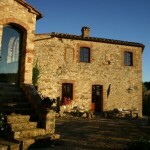 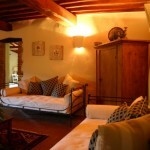 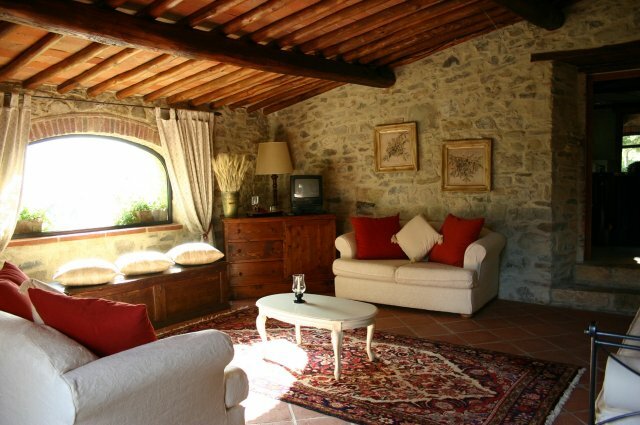 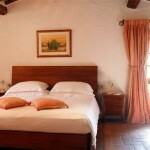 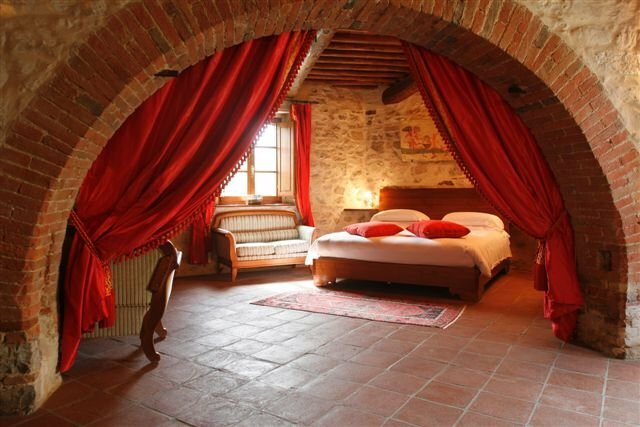 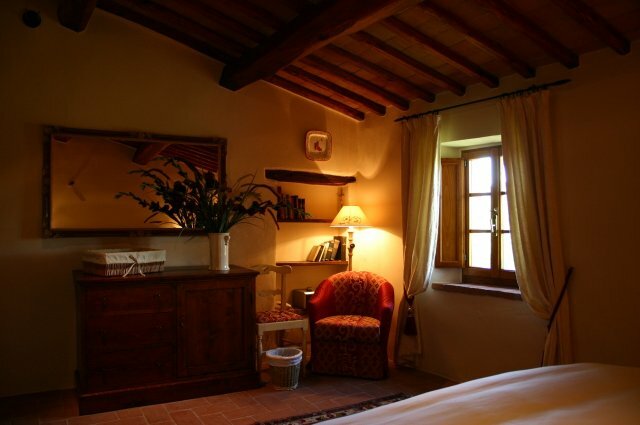 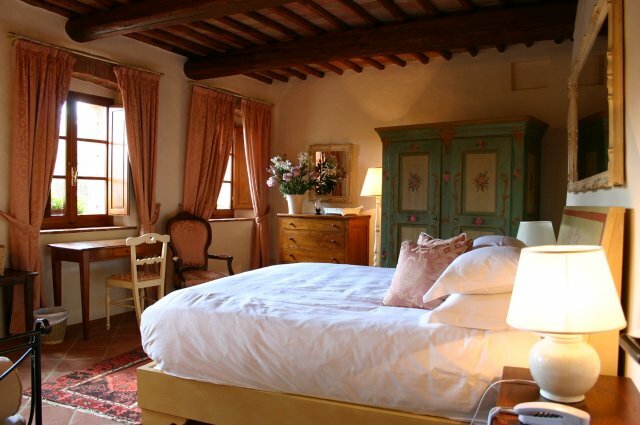 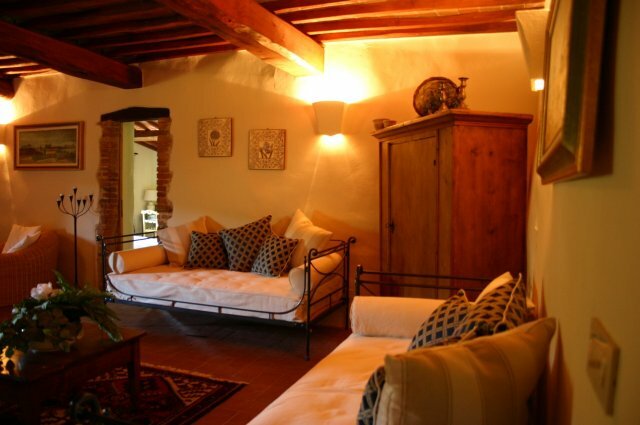 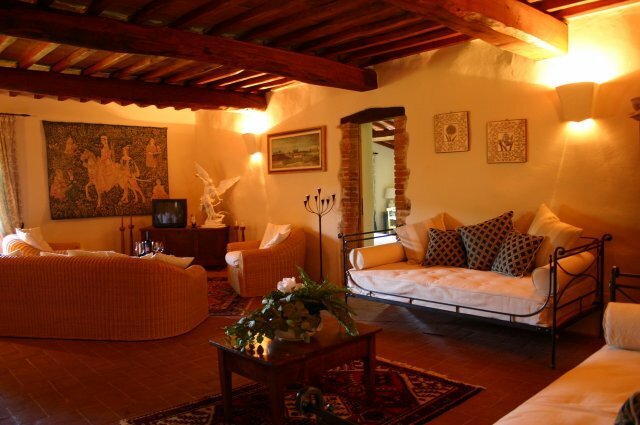 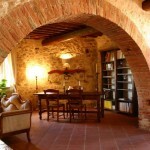 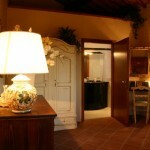 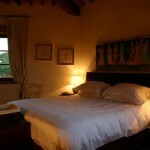 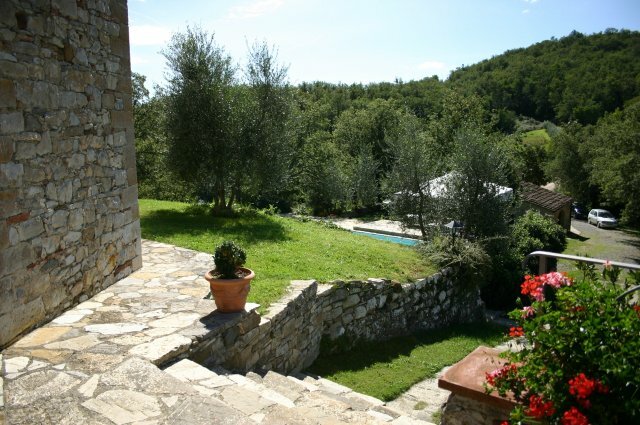 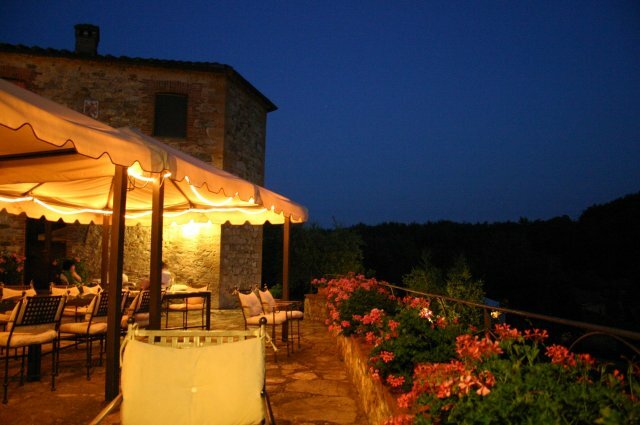 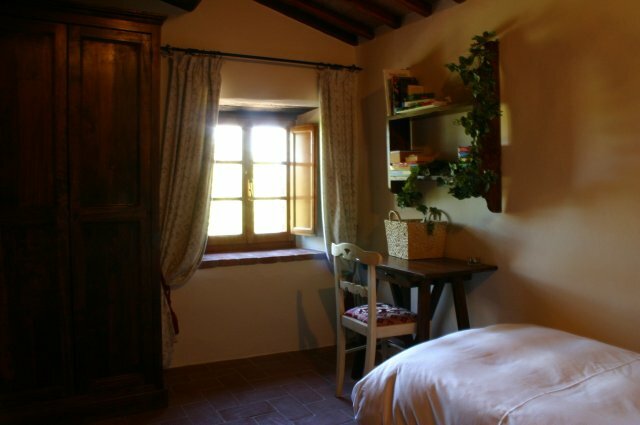 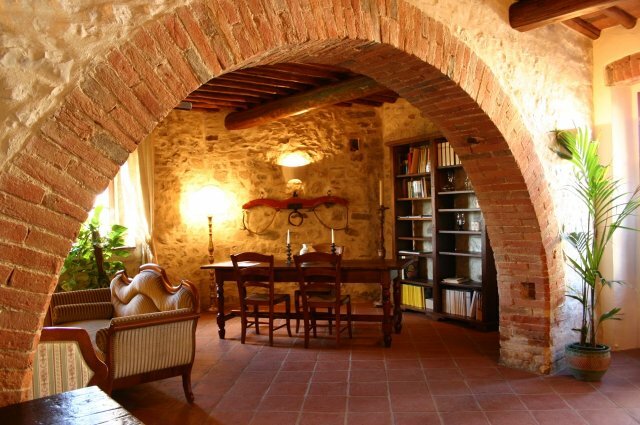 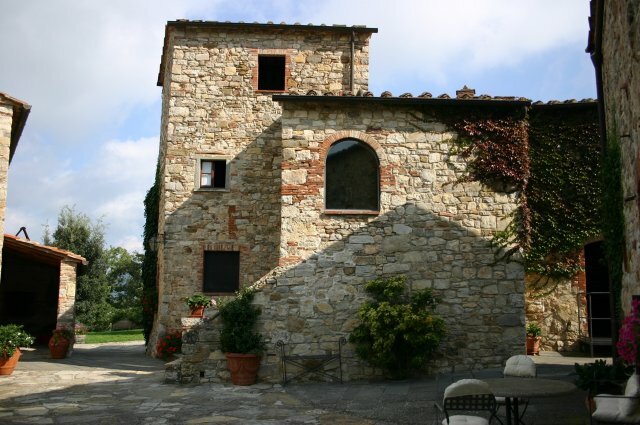 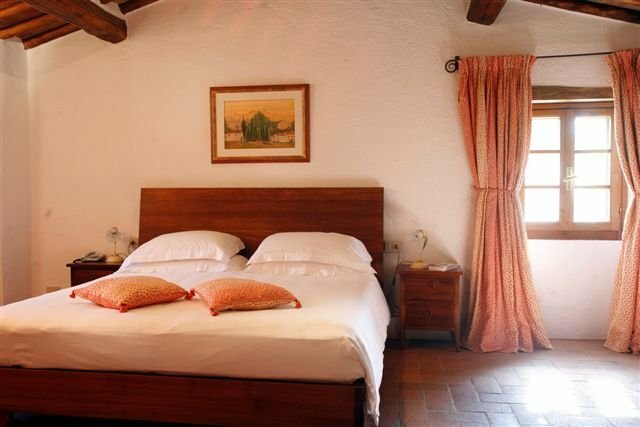 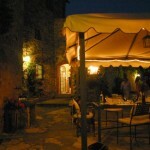 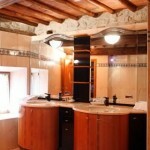 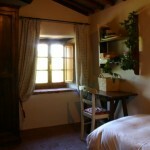 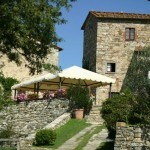 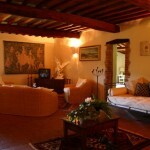 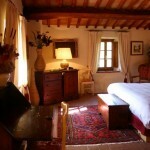 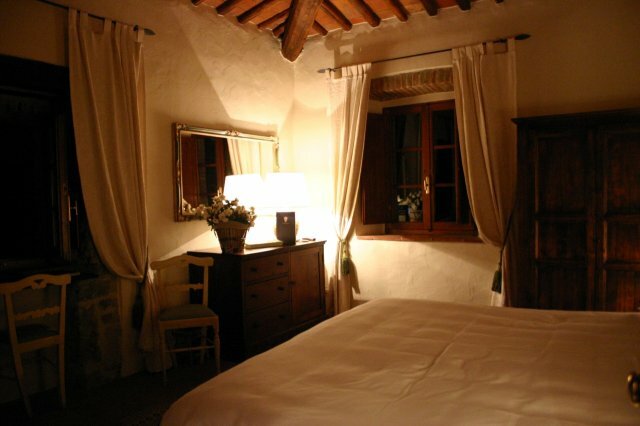 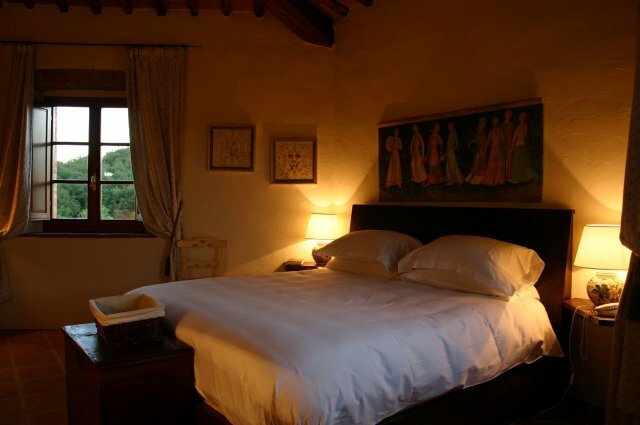 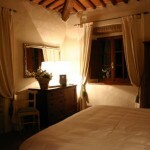 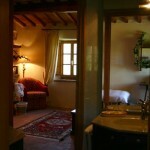 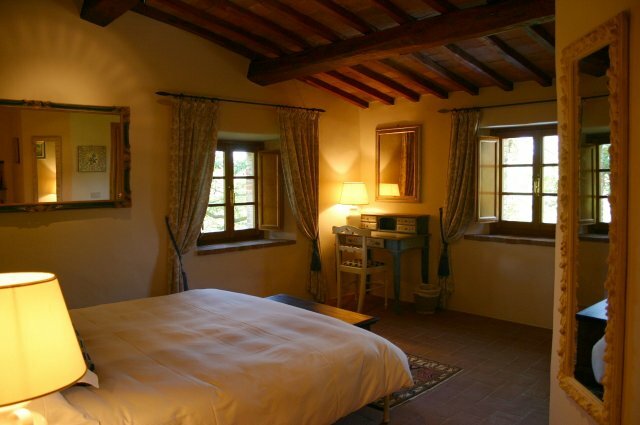 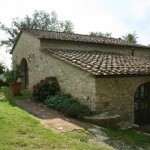 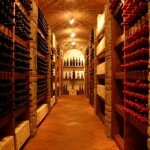 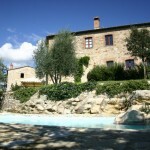 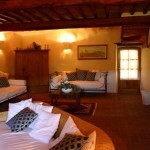 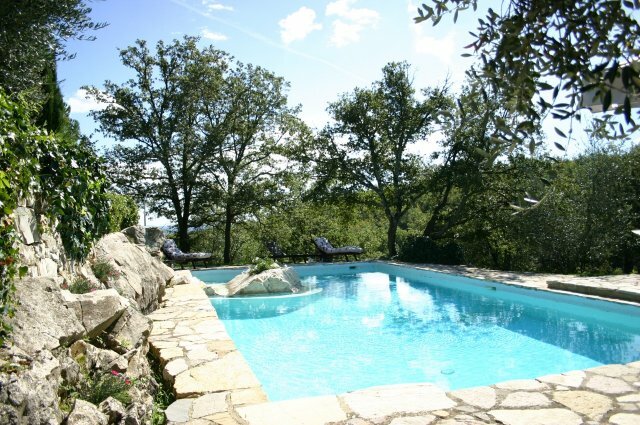 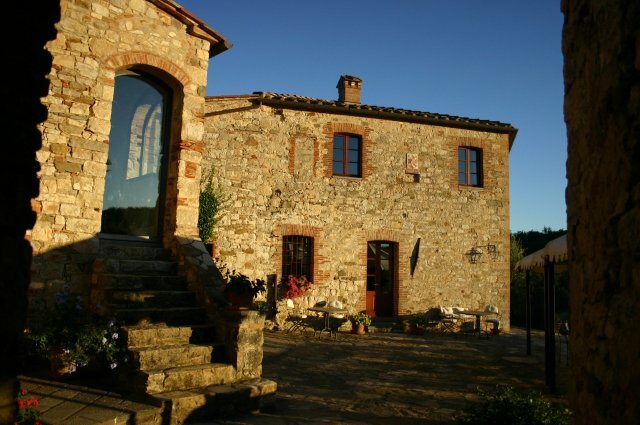 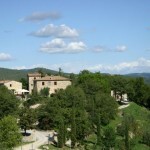 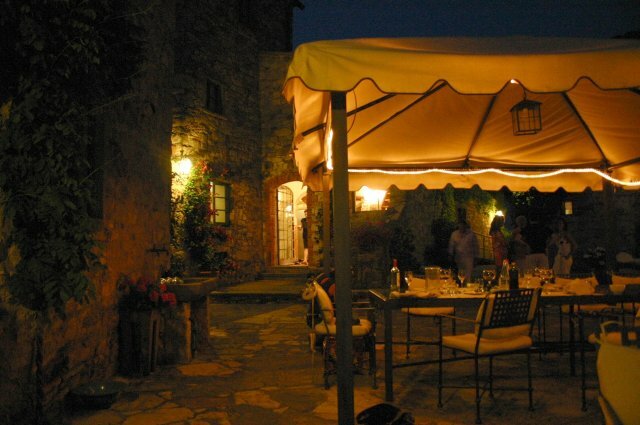 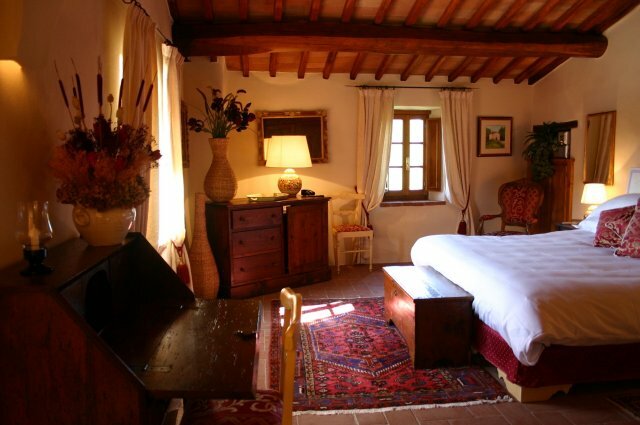 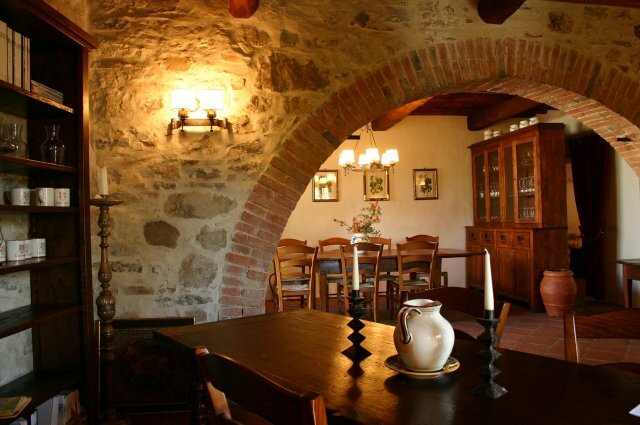 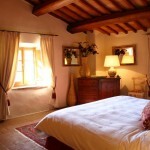 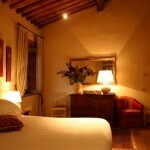 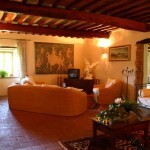 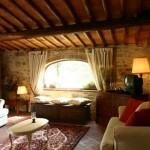 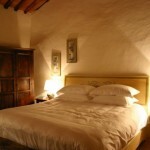 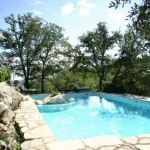 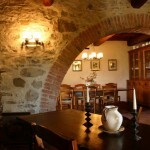 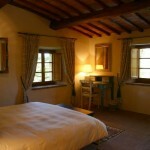 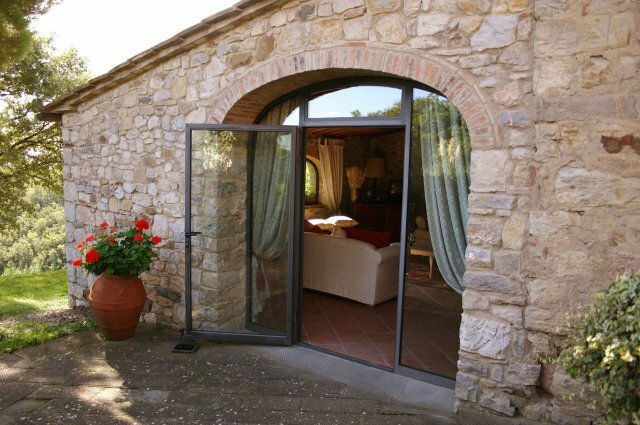 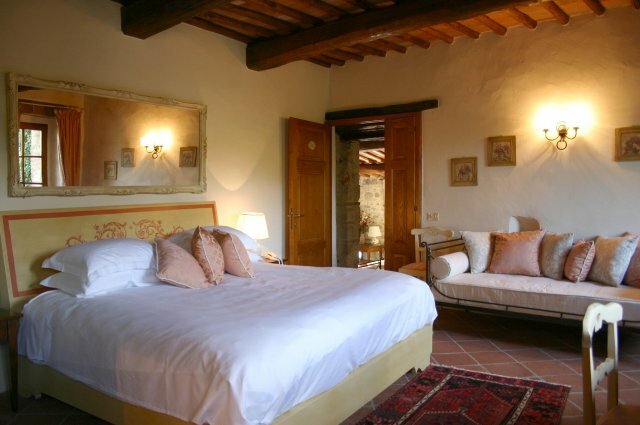 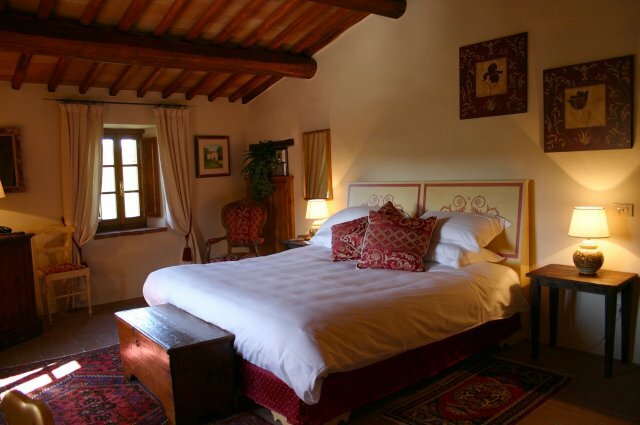 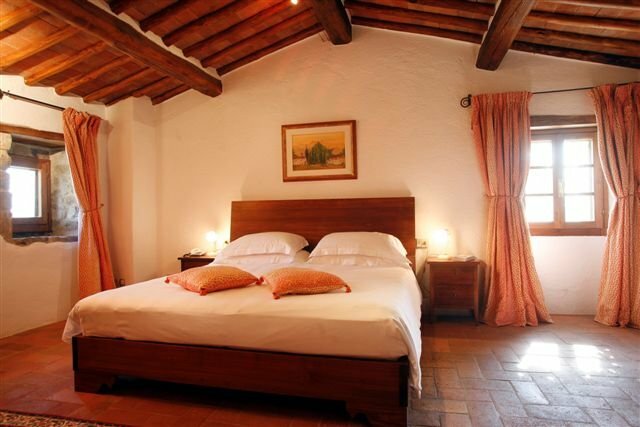 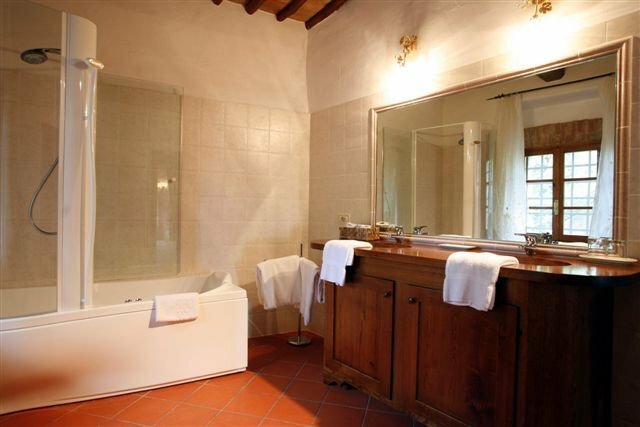 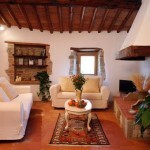 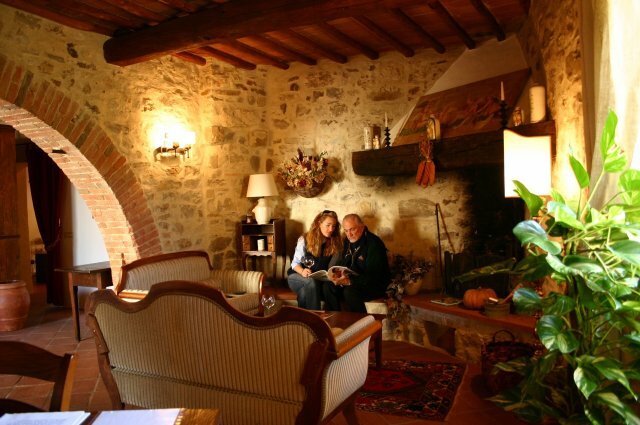 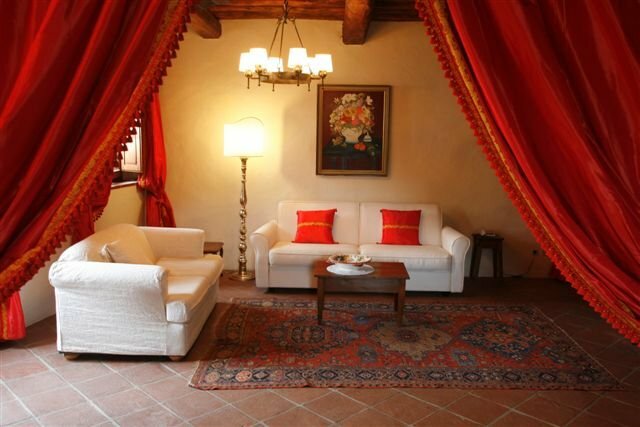 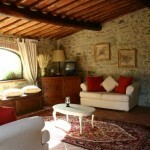 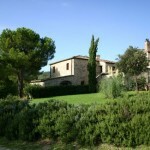 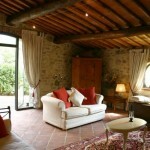 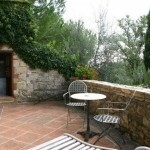 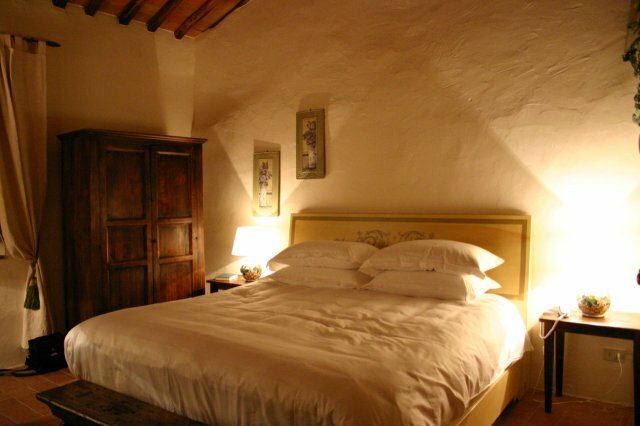 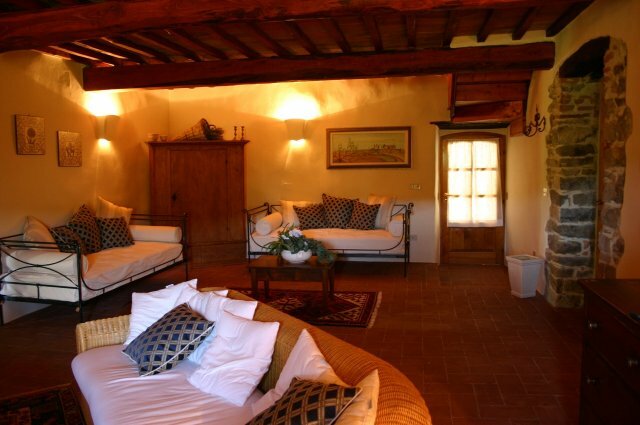 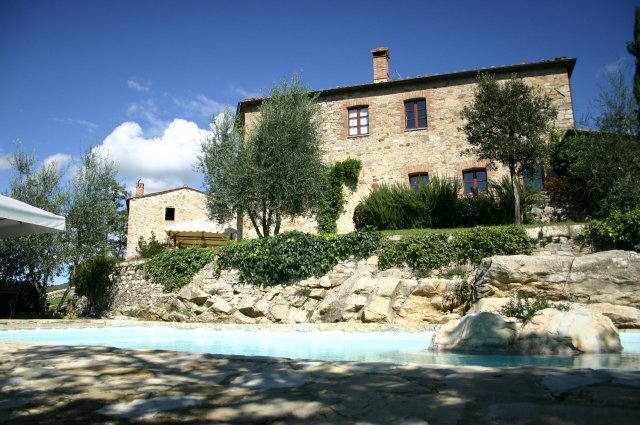 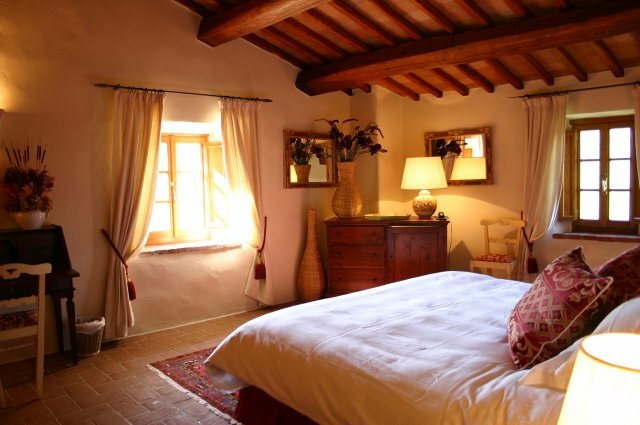 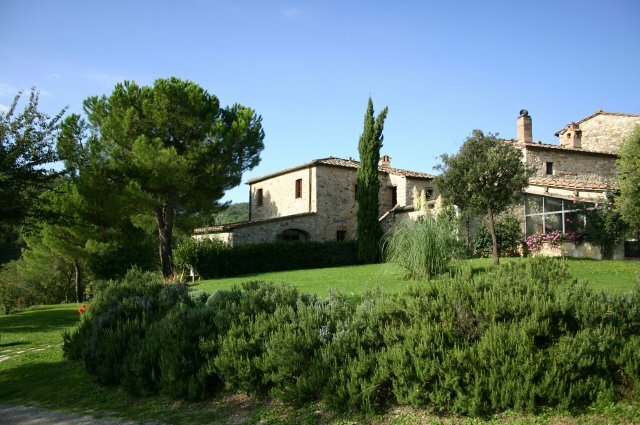 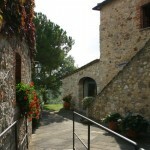 This wonderful rural hotel located right in the heart of the Chianti region, just 6 km from both Radda and Castellina. 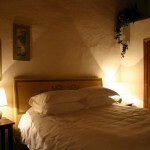 The prices are per night for two people including breakfast and 10% Government taxes. 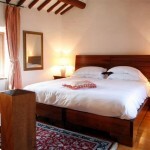 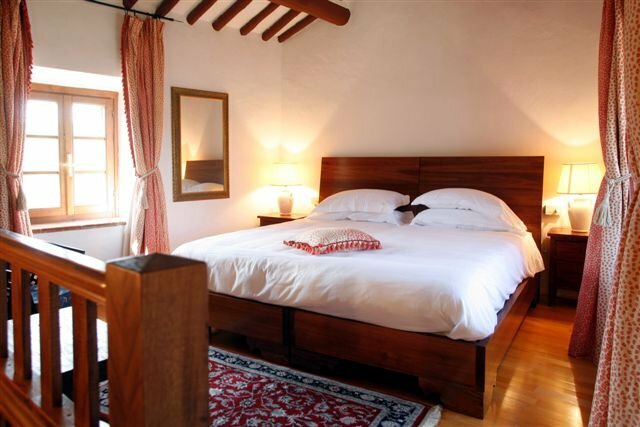 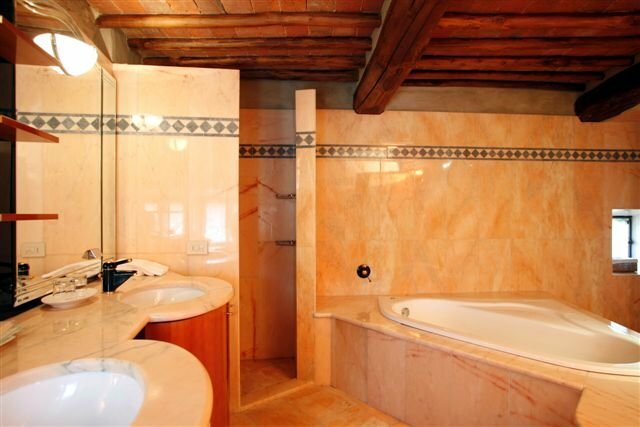 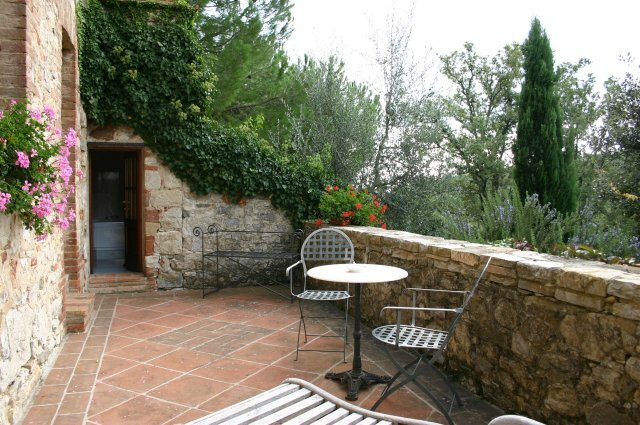 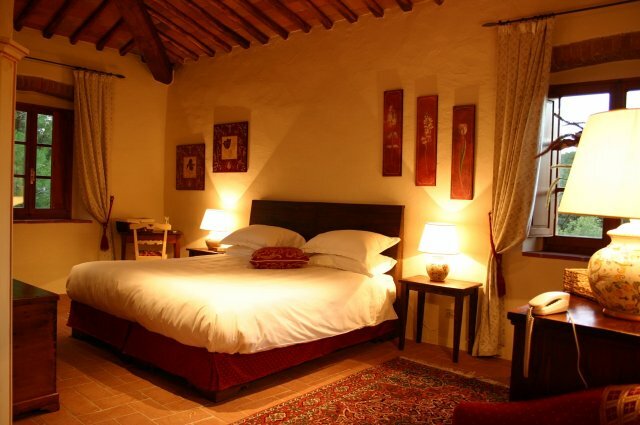 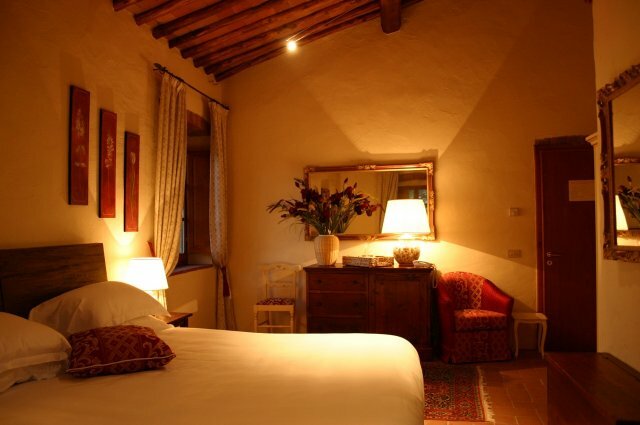 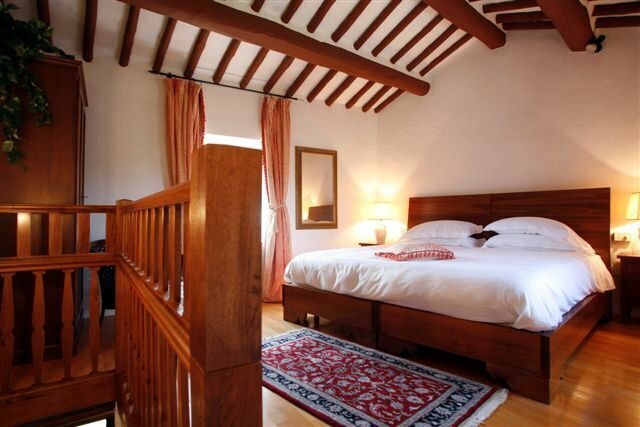 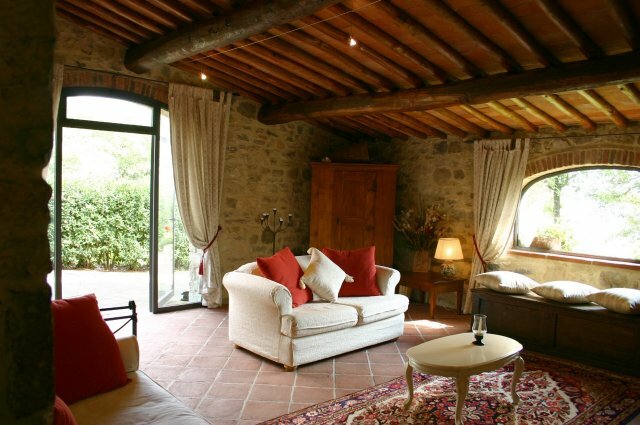 The Double Rooms are all on the first floor of the Baronale house, accessed by an ancient, wide stone staircase that opens onto a communal living room, furnished with comfortable chairs and fireplace. 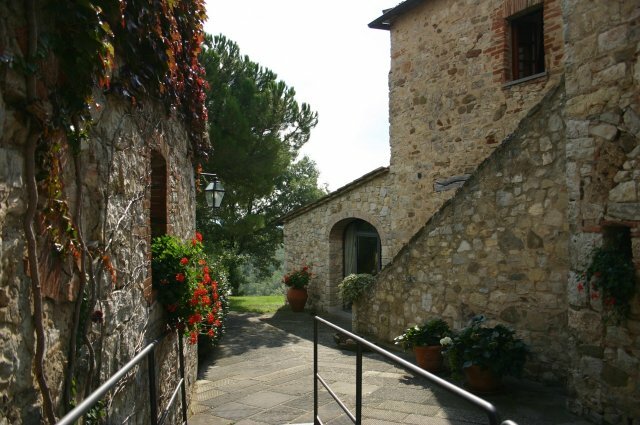 Grouped around this, the three double rooms occupy three sides of the building and thus each offers different, but always beautiful, views over the rest of our tiny hamlet, some of our steepest vineyards, and the rich forests that surround our estate on all sides. 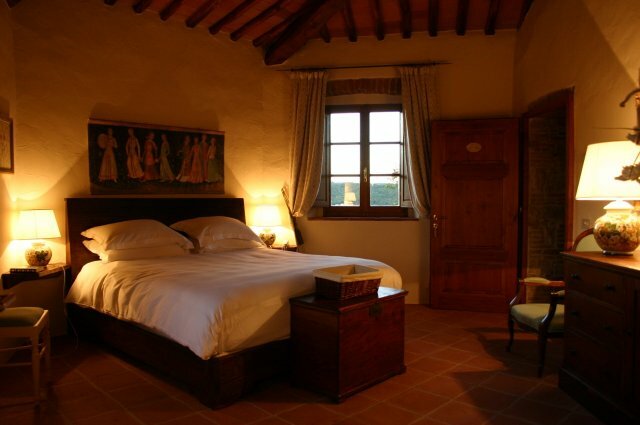 The Suite’s offer stunning views over the forested hills surrounding the estate. 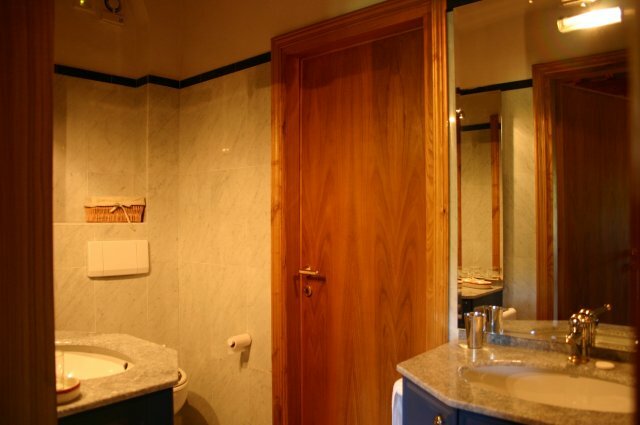 The comfortable, spacious and bright living room with its beamed ceiling is beautifully furnished with local antiques, discreetly combined with modern features such as stereo, TV, minibar and underfloor-heating.A modern, fully quipped marbled bathroom completes this remarkably spacious ensemble and ensures your complete comfort. 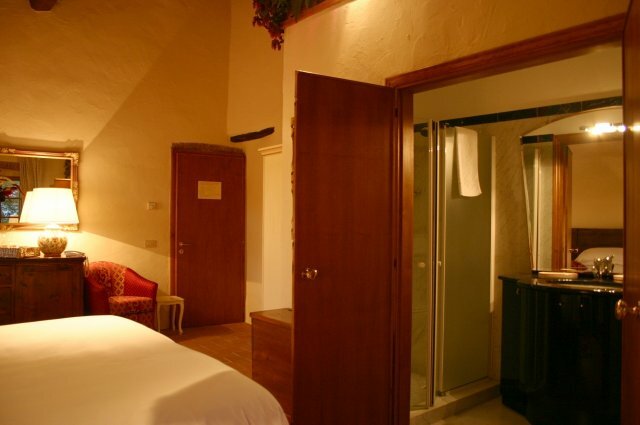 Credit card details required to guarantee reservation. 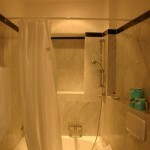 No deposit required and the full amount will be paid to the hotel during your stay.